Winter doesn't always have to mean "cold" and nobody thinks of summer as "warm and cozy." Here are some ideas on staying warm in the White Mountains this winter. Lincoln, New Hampshire may be a small ski town, but it’s jam-packed with tons of family fun. Loon Mountain offers year-round family activities like winter skiing and a summer Aerial Forest Adventure Park, but sometimes you just want to stay warm and dry inside your resort. From the incredible activities at the RiverWalk Resort to fun, family-friendly activities around town, you certainly won’t get bored in the White Mountains. Sometimes the weather is just too cold for outdoor activities or you just want a relaxing evening of fun with the whole family. Head to Lincoln’s BarnZ Cinema for the latest Hollywood Blockbuster. This small, four-screen theater is a great place to bring the kids after a long day of skiing. Jean’s Playhouse is fun for both kids and adults. From showing the latest Warren Miller ski film to Christmas classics like A Christmas Carol, you’ll enjoy a great show filled with talent from near and far. Check out the children’s theater for great shows that the kids will love! 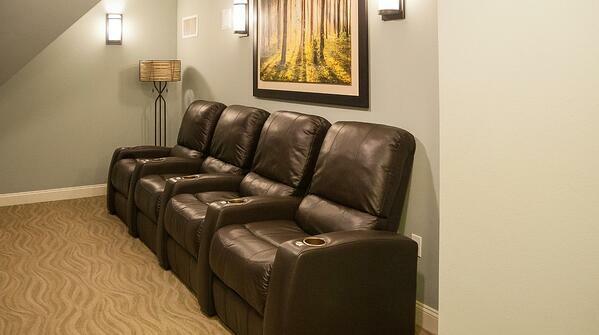 Or, if you're staying in a suite at RiverWalk Resort with a home theater, enjoy a movie from home. Sometimes you need to get a little messy to have fun. Fired on the Mountain is a local pottery studio with tons of “paint your own pottery” and other art classes open seven days a week. Fun for all ages, you can tap into your creative side and bring home a beautiful masterpiece to remember your winter vacation for years to come. Send the kids to their ski lessons and enjoy a little R&R for yourself. Being a parent is hard work! Enjoy a great selection of massages, skincare treatments and foot soaks. Better yet – bring the kids! They will love getting their very own manicure or pedicure as a treat. The Solstice North Day Spa is located within the RiverWalk Resort so you don’t have to go far for a little slice of heaven. Not only is Live a Little Fitness a wonderful fitness studio for adults, it also offers a top-notch kids program that will help your kids burn off all their energy. If you’re looking for a little “me time,” try one of their yoga, Pilates, or kickboxing classes. Perhaps even the hubby will be willing to try yoga with the ever popular “Bend & Brew” class at Woodstock Station Brewery. Kids will absolutely love the Beam Play Zone where they can dance, run, and jump all over the place. Don’t forget we have our own awesome health club with all the equipment you need to stay in shape over your winter holiday. It doesn’t matter how old your kids are, kids (and adults) love games. 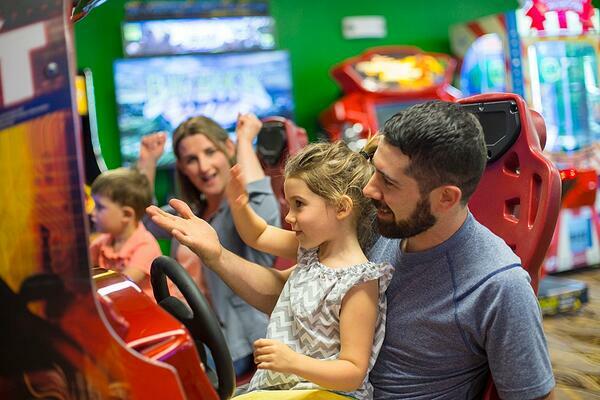 The Game Room at the RiverWalk Resort is a state-of-the-art play room with all the best games like classic arcade games, air hockey, and more. While the kids are enjoying some fun in the Game Room, sip on a wine tasting at Seven Birches Winery or enjoy a beer at One Love Brewery.